Next time you need a great side salad, try something different with this Healthy Harvest salad flavored with crunchy apple, pecans, dried cranberries and purple cabbage. Purple cabbage, commonly known as red cabbage, is a member of the Brassica family, which also includes vegetables like Brussels sprouts and broccoli. Purple cabbage is rich in antioxidants, including anthocyanins and indoles. This is actually where the purple color comes from, as some of these phytochemicals normally show in this hue. The rich coloring is proof of just how powerful these vegetables are for your overall health. Antioxidants are substances that can neutralize free radicals, which are the harmful byproducts of cellular metabolism. These free radicals are responsible for various serious diseases, including cancer and heart disease. So, basically, antioxidants are to the body, the way rust-proof works on a car – they have the ability to mop up free radicals and keep you looking younger, longer. The apples in this colorful salad provide the body with valuable fiber, being rich in both pectin and cellulose. This fiber can help with the efficient excretion of harmful metabolic waste products. 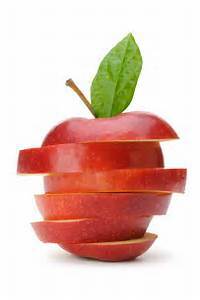 The soluble fiber (pectin) in apples helps to prevent plaque buildup in blood vessels, reducing risk of heart disease. The insoluble fiber also helps keep your digestive tract on track. In addition, apples are an excellent choice for people with diabetes. The fiber in apples helps with blood glucose control by releasing sugars slowly into the blood, providing energy over the long term instead of a quick spike. If you have the choice, go organic. Conventional apples have more pesticide residue on them than any other fruit or vegetable. And washing doesn't remove all the residue. You can peel them, buy you should eat the skin for the most nutritional benefit. 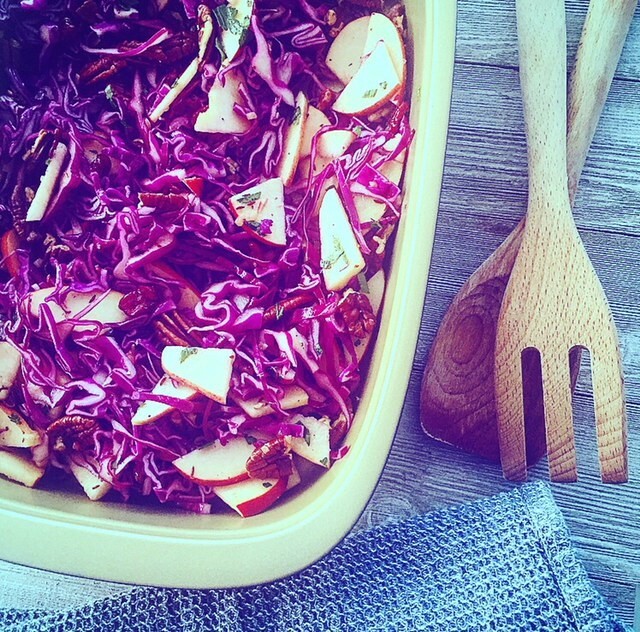 Here is a great recipe for Healthy Harvest Slaw to help you get your daily dose.